The prospect of IR35 reform in the private sector is beginning to cut into demand for IT contractors, an agency group is warning. Although less acute than it was, a slump in the number of IT contractors “on-assignment” was largely due to “anticipated amendments to IR35”, said APSCo, pointing to August. Since then however, the full rollout of the off-payroll framework has been described as ‘inevitable’, potentially with a launch date as soon as April 2019. “The number of IT contractors out on assignment in August 2018 was 30% lower than August 2017”, said the Association of Professional Staffing Companies (APSCo). “This can largely be attributed to recent changes -- and further anticipated amendments -- to IR35 legislation, making non-permanent employment a less attractive choice”. The association said that under the envisioned IR35 changes, such contract and freelance opportunities would become less attractive for both “talent and employers alike”. Yet APSCo said contract opportunities in IT still increased in August 2018 by three per cent, compared to dips of seven and eight per cent earlier in the year. Reflecting on a rise in full-time IT staff hiring in August, APSCo said that “against the current backdrop” of IR35 reform and Brexit, clients were “locking in vital skills” not easily found among contractors. 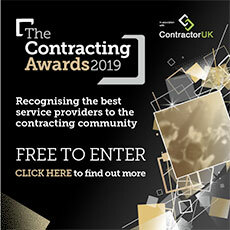 Asked last month about the impact on the contract market, First Point Group, an IT contractor jobs agency in London, told ContractorUK that it would be negative if the two went hand-in-hand. “I would agree that Brexit plus any legislation of this type being brought in at the same time would cause serious issues to the supply to the contract market,” says the agency’s managing director David Taylor. A survey of 2,500 companies published on Friday by the British Chambers of Commerce showed that 18 per cent say they would reduce recruitment in the event of a ‘no deal’ Brexit.